Tauranga born and bred, I worked for a large law firm in Auckland before returning and joining the firm in the early 1980’s. I became a partner in 1987, and am the lead partner in the Property & Development team. Specialising in property transactions, business structures and rural business advisory, I act for business owners, property developers, property investors and rural businesses. I also act as an advisory on joint ventures and succession arrangements. I’m proud of the Property & Development team and the high level of service we deliver to our clients. I rely hugely on them all, and count myself lucky to have such a great team around me. In the early 2000’s I completed a three year Business & Personal Growth programme where I learnt life-changing principles and strategies that I apply every day. I thoroughly enjoy the Bay of Plenty outdoor lifestyle and take every opportunity to get outdoors.  My involvement in the community includes Honory Solicitor for local sports clubs and involvement in the Chamber of Commerce Business Awards and currently sit on the Board of the Bay of Plenty Rugby Union. Syndication financing and purchase of $32m office building in Hamilton. Sale of $15m Waikato dairy farm, 2015 season. Sale of $20m Southland dairy farm, 2013 season. Syndication, mezzanine financing and purchase of $13.5m and $11.5m respectively development land in Tauranga and Auckland – subdivisions with sell down to follow. Structuring and implementation of plans and strategies of succession for Agri and commercial business enterprises comprising assets of in excess of $50m and $250m respectively. Acting for Group Housing Companies in acquisition of land and sale of packages to their customers. Estate planning and formation of family trusts for NZ residents and non residents.